If you’re not yet quite sure if this is the sport for you, come down for an Tandem Paragliding Flight. Come paragliding with the experts, we look forward to hearing from you soon! Soar along the magnificent Illawarra escarpment or the Northern Beaches, in a comfortable sitting position, in front of your instructor. 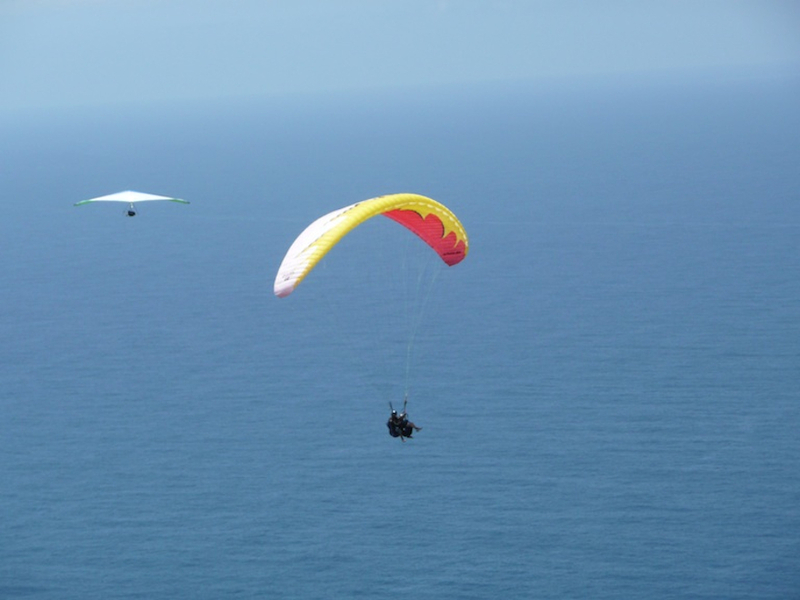 This instructional flight includes hands on experience in the control and maneuvering of a paraglider. This course is for people who want to learn to fly a paraglider. You’ll learn a variety of skills, including different take-off and landing techniques, soaring skills and above all, how to fly safely. Early high flights are radio supervised. Theory lessons and textbook are included. Offers you extensive training for intermediate flying skills, advanced soaring techniques, top landings, height loss manoeuvres, plus coastal and inland thermal flying, with practical instruction on cross-country flying. For int/adv hang glider pilots wishing to extend their light wind airtime, and become bi-wingual. Use your Australian Parachute Federation “B” Licence to gain a Restricted Paragliding Certificate. Experience extended canopy airtime. Launch and ridge soar or thermal up for a change. All flying equipment, new and second hand can be supplied if required. Gift Vouchers, for Tandem Paragliding Flights and Certificate Courses.